Caelan chasing a mariposa. Yes people! 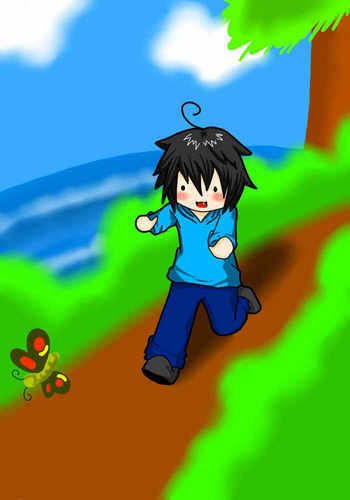 It's CAELAN.CHASING.A.BUTTERFLY! tu know what would be funny? Calean trips and falls and starts crying! So cute!! I just wanna glomp him!! XD. HD Wallpaper and background images in the Skulduggery Pleasant club tagged: skulduggery pleasant caelan.